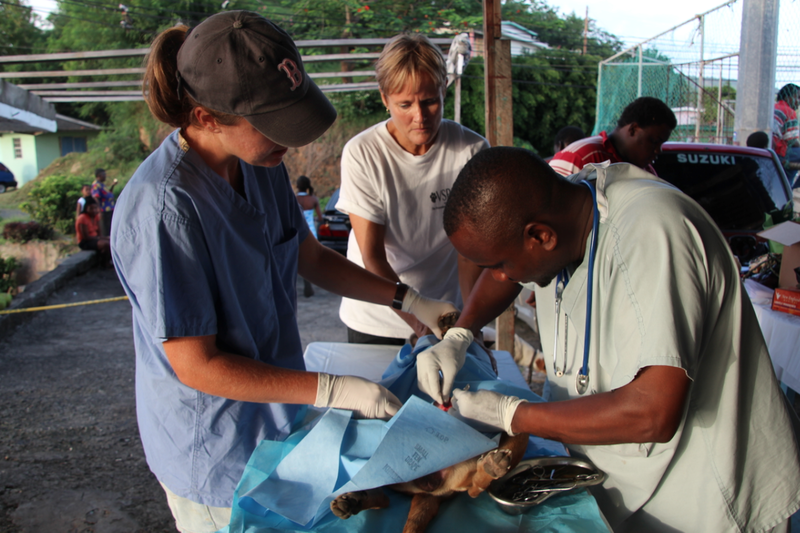 VSPCA Members, Lisa Walker and Kiersten Anderson, assist Dr. Audain during a spay surgery in Ottley Hall. 3. Your spayed female won't go into heat. While cycles can vary, female felines usually go into heat four to five days every three weeks during breeding season. In an effort to advertise for mates, they'll yowl and urinate more frequently—sometimes all over the house! Letting your pet produce offspring you have no intention of keeping is not a good lesson for your children—especially when so many unwanted animals end up on the streets-starving and homeless. There are tons of books and videos available to teach your children about birth in a more responsible way. Every year, thousands of of cats and dogs of all ages and breeds suffer as strays. These high numbers are the result of unplanned litters that could have been prevented by spaying or neutering.